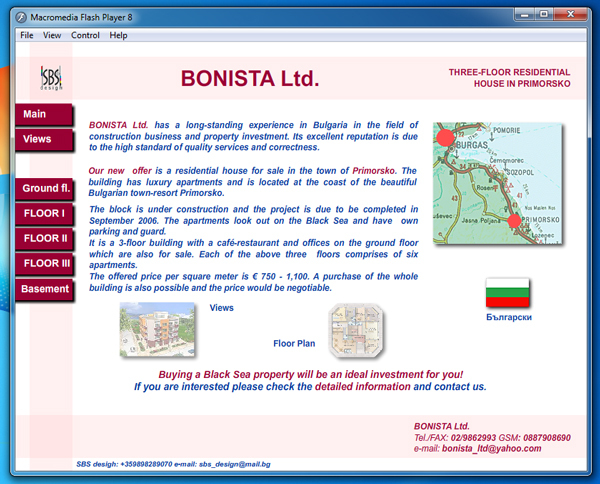 Bon­ista Ltd. is a Retail agency that need­ed an online inter­ac­tive pre­sen­ta­tion for one of its prop­er­ties for sale. The bilin­gual (Eng­lish and Bul­gar­i­an) pre­sen­ta­tion was built on Flash. 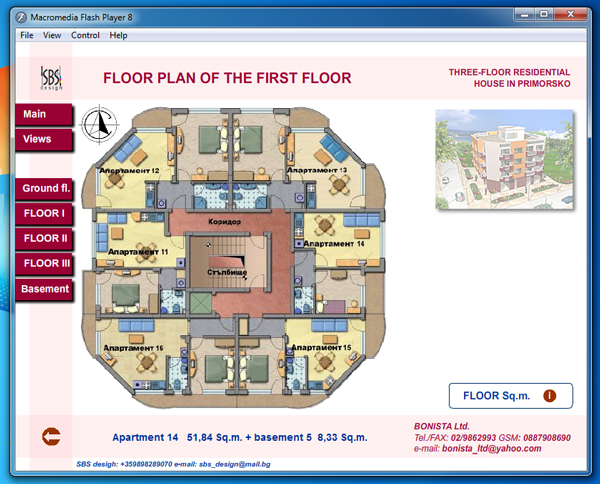 It con­tains full floor plans of the build­ing. 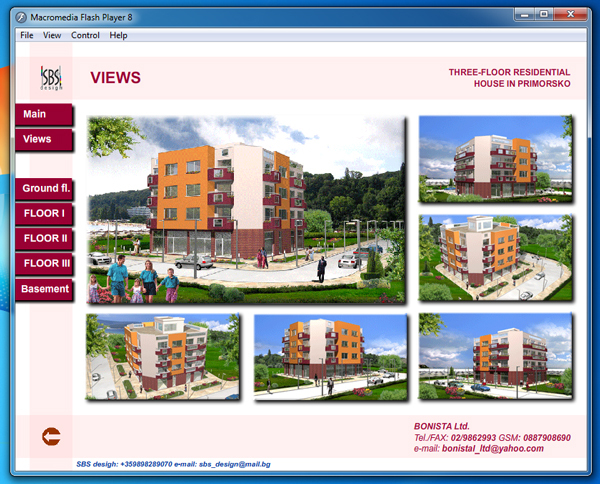 The prospect buy­ers can browse the floors, check the apart­ments and get all the infor­ma­tion they need for the build­ing.